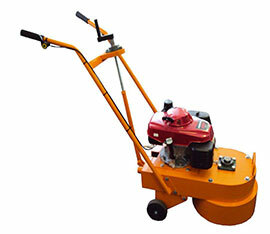 Powerful belt sander with compact design for easy manoeuvring and handling. 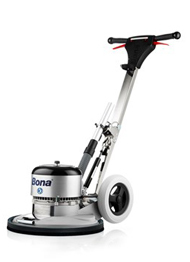 The Bona Belt takes on any wooden floor and with the easy-start motor only a 10 Amp fuse is needed for it to run. All adjustments can be made from the top of the machine and the sanding drum is easily exchanged to another width if needed. The unique drum construction makes changing abrasive belt a job done in seconds. 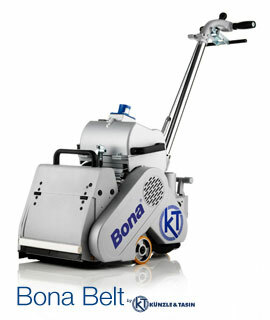 Bona Belt has a highly efficient vacuum unit that minimizes dust. 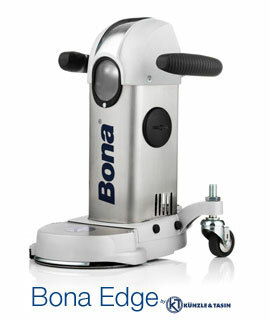 The compact Bona Edge is an extremely powerful and easily manoeuvrable edge sander. It can be fitted with ‘holed discs’ or Velcro-backed discs and picks up dust better than most edge sanders on the market. It is equipped with lamp for better visibility and its shorter sanding arm improves manoeuvrability and reduces strain on arms and hands. For edge sanding of all kinds of wooden floors and parquet floors. 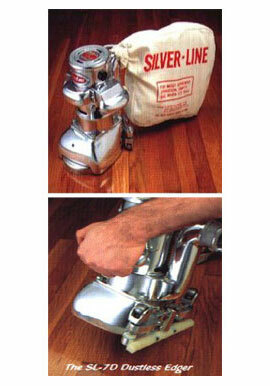 The Silver-Line SL-7 is the leader in floor edgers and is engineered to give top performance on even the toughest jobs. The powerful motor delivers 3600 RPM for the fast smooth cutting your customer requires. The oversized vacuum fan and chamber work together to achieve superior dust pick up that will make your customers very happy. The SL-7, manufactured from tough aluminium alloys, offers electronically balanced parts for vibration free operation as well as a highly polished clean exterior providing extremely low maintenance. Product Dimensions: 10″ Diameter – Height 13″. Construction: Accurately machined interchangeable parts of highly polished aluminum alloys. Motor: 1.5HP Universal motor, 230 Volt, AC. Disc Pad: 7″ Diameter, rubber backed with steel, precision balanced, 3600 RPM. Disc Guard: Free wheeling, non-marking. Vacuum: Oversized rerouted chamber for extra-clean pickup. Ball Bearings: On all revolving parts, lubricated and sealed. For sanding all kinds of wooden and parquet floors. 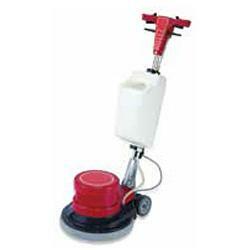 Hard floor cleaning can be fast and easy with the multipurpose, single disc rotary floor polishing machine. Used for stripping (black pad), polishing (red pad) and buffing (white pad). 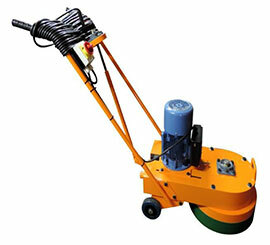 Also available with scrubbing brush attachment for large areas such as factories, offices and shopping malls. All types of unwaxed, residential and commercial polyurethane finished wood floors and pre-finished, aluminum-oxide floors. 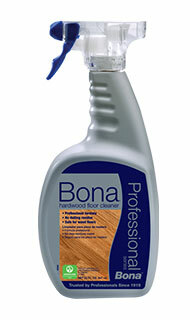 Bona’s Professional Series Hardwood Floor Cleaner Refill Cartridge is made for use in the hardwood floor spray mop. 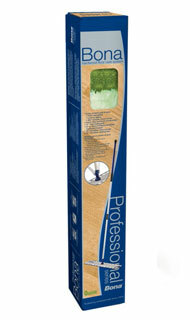 Bona’s Professional Series Hardwood Floor Cleaner Refill Cartridge contains Bona’s professional strength, no-residue hardwood floor cleaner in a ready-to-use cartridge. It is safe for wood and leaves no dulling residue. Professional strength, non-toxic, waterborne hardwood floor cleaner concentrate. Formulated for all types of hardwood floors coated with a clear, unwaxed finish, this environmentally responsible cleaner leaves no dulling residue and will not dull the floor’s finish. 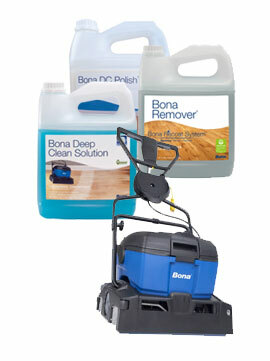 Combines a Bona PowerScrubber and Bona Deep Clean Solution to effectively and easily clean hardwood floors. 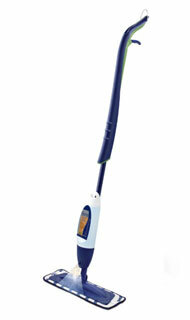 Simple: Allows you to effectively deep clean 500 square feet of wood flooring in about an hour or less. Safe: Commercial strength hardwood floor cleaner designed specifically for hardwood floors. Leaves no dulling residue and is GREENGUARD Children & Schools Certified for indoor air quality. Smart: A profitable way to stay in front of your existing customers and an easy way to establish a new customers network. 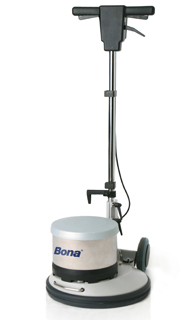 Bona PowerScrubber: The Bona PowerScrubber is a compact, powerful scrubbing machine. 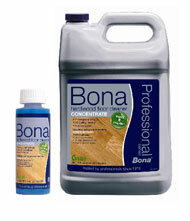 When used with the Bona Deep Clean Solution, it removes the toughest dirt and grime from hardwood floors. Bona Deep Clean Solution: A professional strength, non-toxic, waterborne cleaner formulated for unwaxed, polyurethane finished wood floors. This environmentally responsible cleaner leaves no residue and will not dull the floor’s finish. Bona Deep Clean Polish: A durable, urethane acrylic blend with an exceptionally fast dry time and no waxy build-up. Adds a high gloss or low gloss protective layer and fills in microscratches, evening out the appearance of the floor. 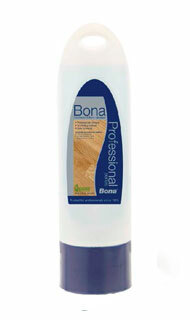 Bona Deep Clean Polish Remover: Designed for the removal of acrylic based polishes that have been applied onto polyurethane finished wood floors. After application the treated floor can be left as is or re-coated with another acrylic based polish.